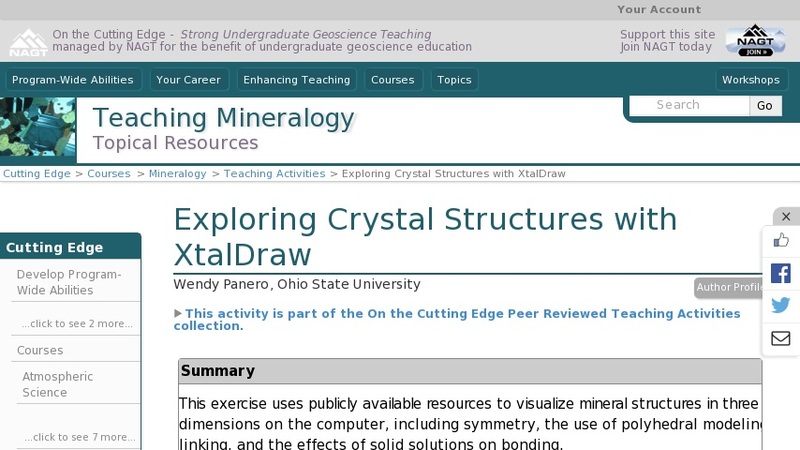 At the end of this exercise students will be able to use computer-based software to draw crystal structures and visualize symmetries present in minerals. By varying the way in which atoms or groups of atoms are displayed, they will begin to see how atoms link through bonds. Students will also begin to investigate the effects of variable composition on bonding on unit cell parameters.